I feel this is the season of Torani syrups. Adding them to my coffees everyday, making hot cocoa bars as gifts and now a delectable dessert. 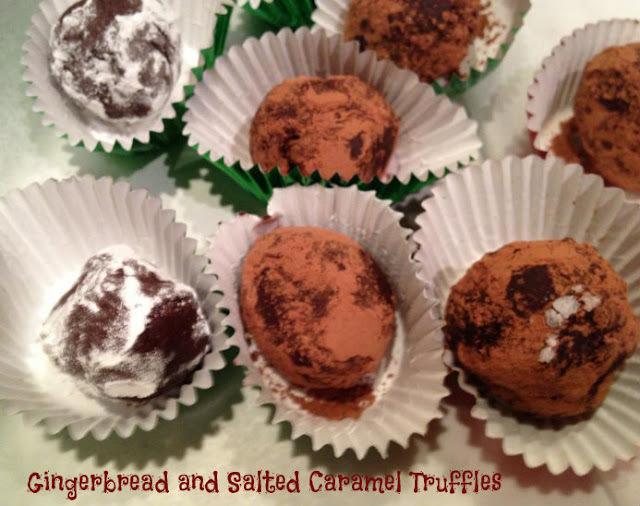 They are so versatile and we love how they can change a flavor of a dessert with little effort. 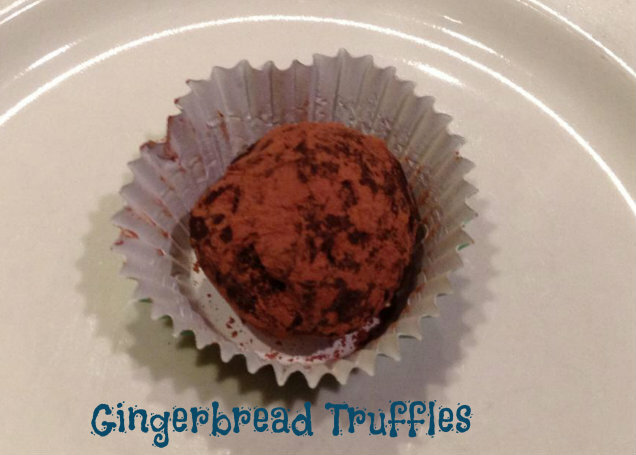 This Christmas or Holiday dessert takes very little time with a lot of flavor. 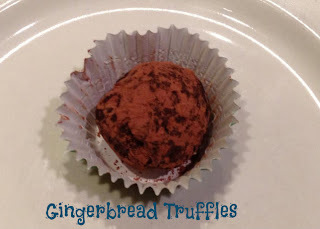 Truffles don’t have to come from fancy stores and boxes, make a batch as gifts for teachers, neighbors or as a take away from a dinner party. They are so rich you really only need a few. With only a few ingredients and good chocolate you are on your way to decadence. WARNING: Your hands will be filled with chocolate so don’t run to answer the phone or pick up your crying baby! 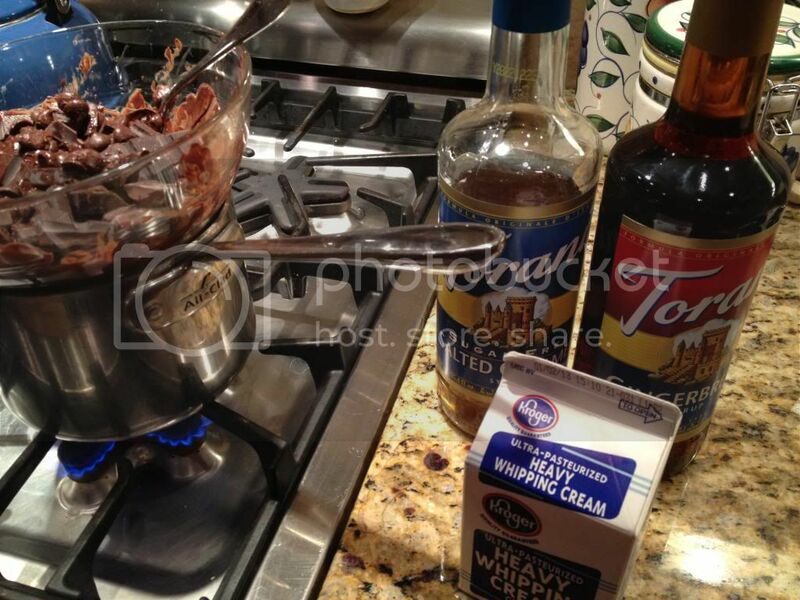 If you want to make different flavors, just split the chocolate mixture in half before adding the flavors. We also chose to roll them in different things to keep them separated. After rolling the salted caramels in chocolate we also rolled them in a little sea salt for looks mostly.